At Circle Buick GMC, we take pride in our strong focus on providing world class customer service, and one of the best selections of new and pre-owned vehicles in the area. 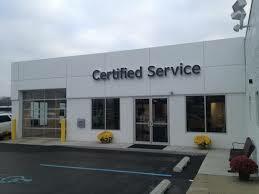 Our team works hard every day to give drivers from Highland, Schererville, and Hammond, IN the high-quality car buying experience that they deserve. ​We offer our customers a wide range of services. Whether you are looking for Sales, Service, or Parts we can help! Our knowledgable staff is here to help every step of the way. It's what we like to call the "Circle Way." Experience the ultimate car buying experience in your own hometown. Our salespeople know our product and they know what our customers want. We specialize in low prices and unbeatable customer service. Located off of Indianapolis Blvd on 45th Street here in Highland, we're ready to serve you.